One of Australia’s largest paint manufacturers, from their major production plant, produce over 50 million litres of premium quality paint annually and the regular washing down of equipment, vats and tanks produces around 50,000 litres of contaminated wastewater each day. Tougher discharge limits to sewer, increasing trade waste charges and high disposal costs (pump outs) all led to a decision to treat the wastewater on site. After detailed investigation of the various options, it was decided to install a fully automatic ‘RM-10’ Treatment Plant, designed, built and commissioned by Baldwin Industrial Systems. The Baldwin CE-400GA System is PLC controlled and made from 304 stainless steel. Existing Holding Tanks were integrated to provide maximum equalisation of the wastewater, which varies considerably each day, due to the nature of production requirements. The CE-400GA unit is capable of treating 4,000 litres of wastewater each hour on a continuous basis – or up to 96,000 litres a day. The clean treated water easily meets sewer discharge limits with the removal of suspended solids, oils and greases, heavy metals and surfactants – all in a single step process. The clear effluent can also be retained for recycling or dilution as required. 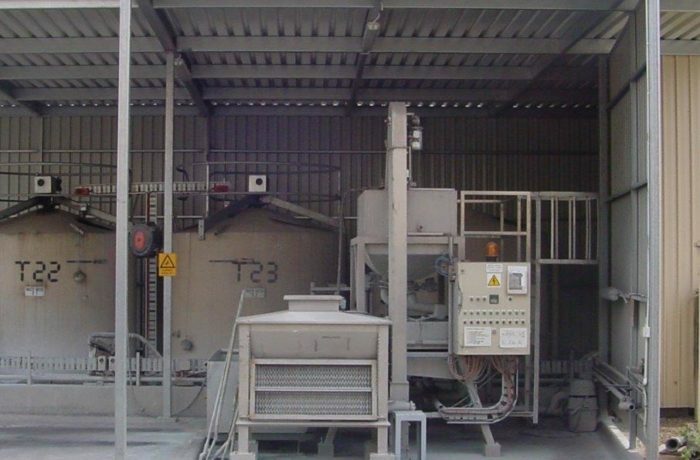 The dry sludge produced permanently encapsulates all contaminants and can be disposed of to ordinary landfill – resulting in minimal disposal costs. The Baldwin CE-400GA System has been working continually for almost 12 years with no service interruptions and consistent performance bettering the discharge limits set for the site. The system has provided the company with annual savings of approximately $30,000.